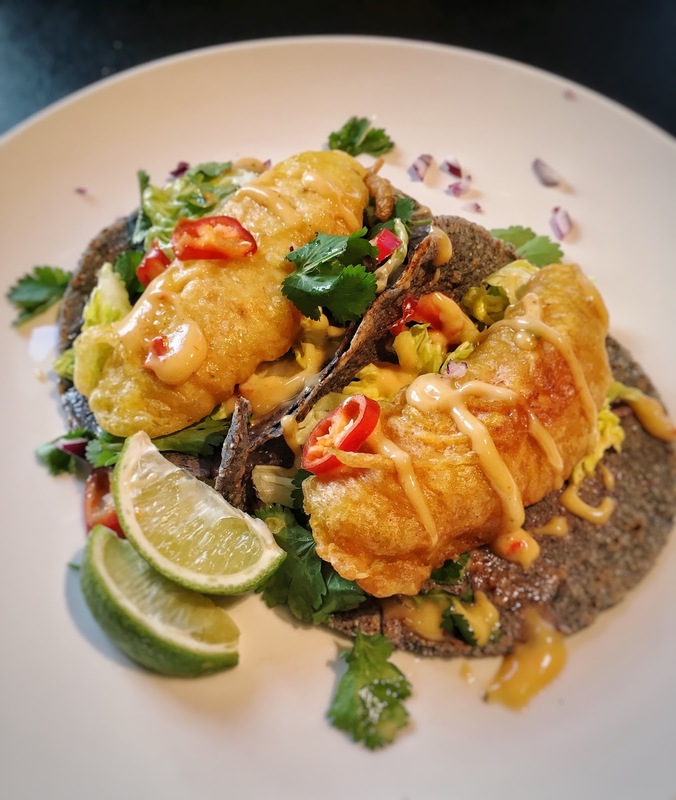 If you love Tacos (like me) and you're in the UK and was wondering how to make authentic soft corn tortillas and was having trouble sourcing ingredients in the UK, then look no further. 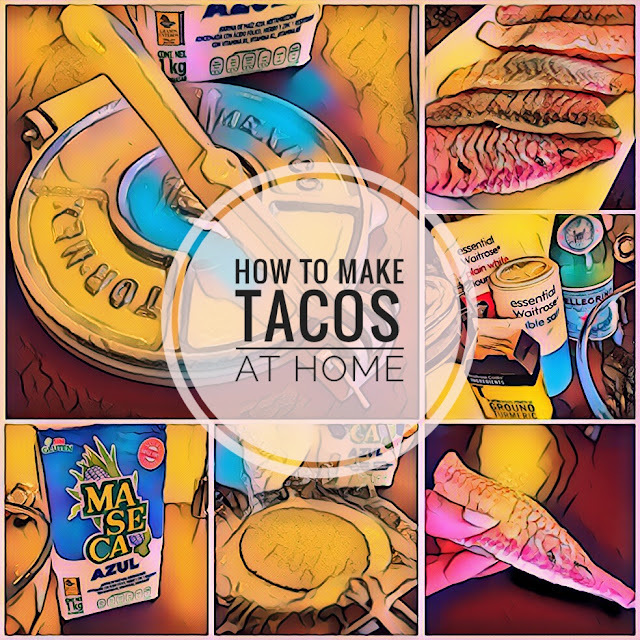 I decided to write this post after trying to find information on what type of flour is used for soft Tacos, where to get it and how to make it. These are made with blue flour but you can make them just the same with white flour, see my Pork Tacos below (video) that were made with white tortillas. Firstly the type of flour is important, often called Masa Harina - it's a special nixtamalised corn flour (this is a process that involves soaking and cooking maize in limewater or calcium hydroxide) so you can't use the ordinary yellow corn flour sold in the supermarket - it must be nixtamalised. None of the supermarkets in the UK currently sell nixtamalised flour however, you can get one Masa Harina called Maseca from The Mex Grocer online, I get mine from there and they can deliver within a couple of days. You can get blue or white Maseca Flour. You will also need a tortilla press, if you don't have one you can use a rolling pin in the meantime, but think about getting a press, they're around 15 quid but I got mine from a seven eleven that has Mexican food in SW London for about 10 quid. Put the Maseca Flour in a bowl (I use blue flour as I love the colour) and gradually add the water and mix until it gathers into a dough. It should feel as soft as play dough. You don't want it too dry or too wet. When you press the dough with your thumb it should be soft and leave an indent - see the top middle pic above. At this stage prepare your pan to cook the tortillas by heating up a non stick frying pan on a high heat, it needs to be hot when you add the tortillas. No oil is needed. Take your tortilla press and line it with very fine plastic sandwich bag, top and bottom. Take a tablespoon at a time of the dough and roll into a ball. Put the dough off centre between the plastic sheet on the tortilla press and press down. Carefully remove the tortilla and put immediately into the hot pan - the pan should be almost smoking before you add. The tortilla only needs around 30-40 seconds then flip and cook until done on the other side. Put the cooked tortilla into tea towel and cover while you continue to cook the remaining tortillas. When all the tortillas are done you can make your own Fish Tacos (see below) or Tacos al Pastor (pork) or lamb. 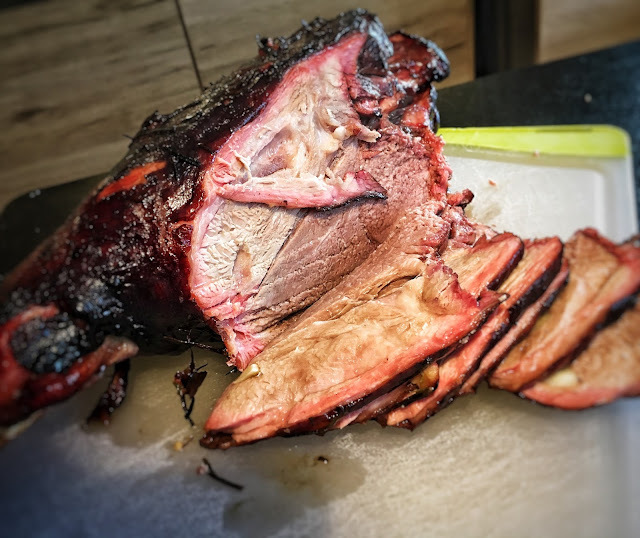 The best cuts are shoulder for pork (see Tacos in pic above I made with shoulder of pork) and lamb (NZ Lamb or Welsh Lamb). I like to cook mine in the barbecue over hickory wood for around 3 hours with an internal temperature of approx. 60 degrees celsius. Don't forget a drip tray to collect all the liquor - liquor is important for meat tacos, they give huge amounts of flavour when they are added with the meat on your Taco. 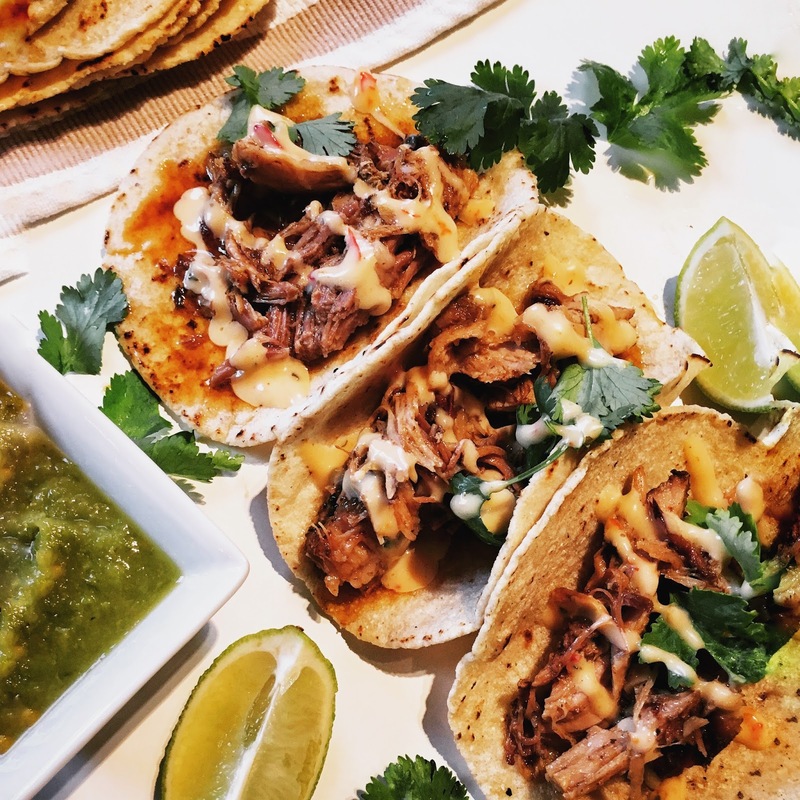 Alternatively you can cook it in the oven as well or best, do Tacos with any left over Sunday lunch meat, just re-heat the meat in a frypan with plenty of oil, warm up your tacos and serve with coriander or parsley, squeeze of lime and your favourite mayo. Half dozen small cuts of fish, I use red mullet but sea bream is fine, simply cut into small fillets. Heat the oil in a saucepan and keep an eye on it, if it starts smoking it is too hot. It needs to be enough oil to do a deep fry. I use a small saucepan for this, and cook one fish at a time. Mix all the dry ingredients in a bowl, and add the sparkling water gradually so that you get a batter consistency that nicely coats a wooden spoon and doesn't run off to fast. Using sparkling water helps prevent the batter from absorbing too much oil - the carbon dioxide in the water/batter reacts by pushing the oil away from the batter as its released/heated. Coat the fish in flour and shake off any excess. Dip the fish into the batter and carefully place into hot oil away from you. Cook until golden brown turning as it cooks. the turmeric and the sugar will give a lovely colour. Also note that turmeric has a peppery flavour not a spicy flavour that most people believe, so you will barely notice it in the batter. 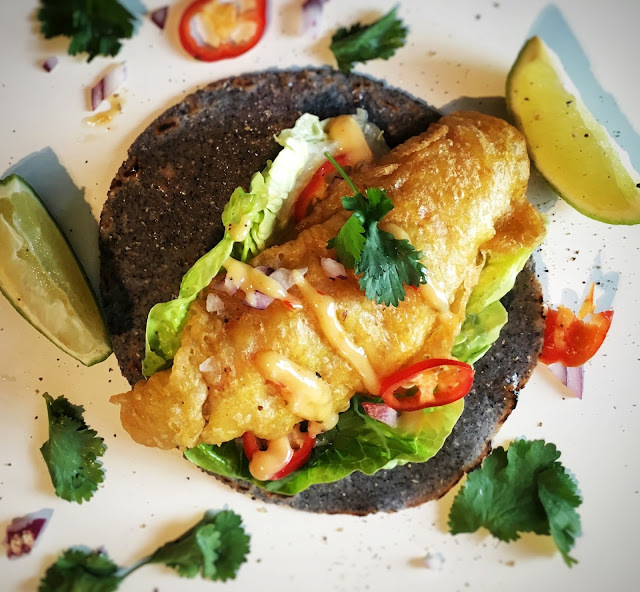 Put the cooked fish in a warmed taco with coriander, chilli, lettuce and top with your favourite mayo, a squeeze of lime and eat straight away. ps. you can also always add your favourite hot condiment as well. Left overs from roasts can be used in Tacos, below is a smoked barbecued leg of lamb also perfect for Tacos when you have a crowd to feed.